One is that this was the last of these Sea Salt and Cracked Pepper Lentil Chips from the Mediterranean Snack Food Co.
Two is that this is the last of my quinoa chickpea burgers. These were perfect out of the freezer! I always freeze my burgers for later, but there is never really a later...I just keep eating them! Ok, let's go back to the Lentil Chips...I had never heard of them before a couple of weeks ago. When my cousin went to the natural food store the other day looking for Falafel Chips, she grabbed these because sadly they were out of Falafel Chips. She is like me in that she likes a tasty healthy chip! Not a greasy thin mess. 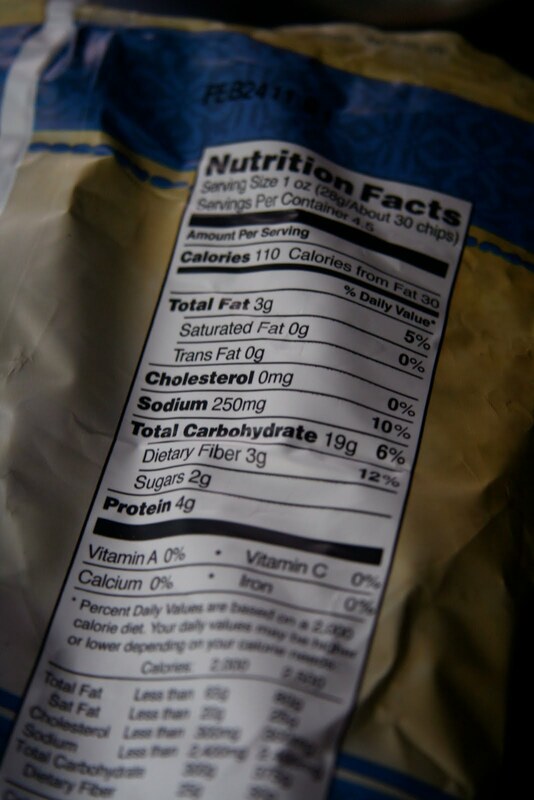 These only have 110 calories in 30 chips, 4g of protein and 3g of fiber! Have I mentioned how much I love beans? Is there anything a bean can't do? 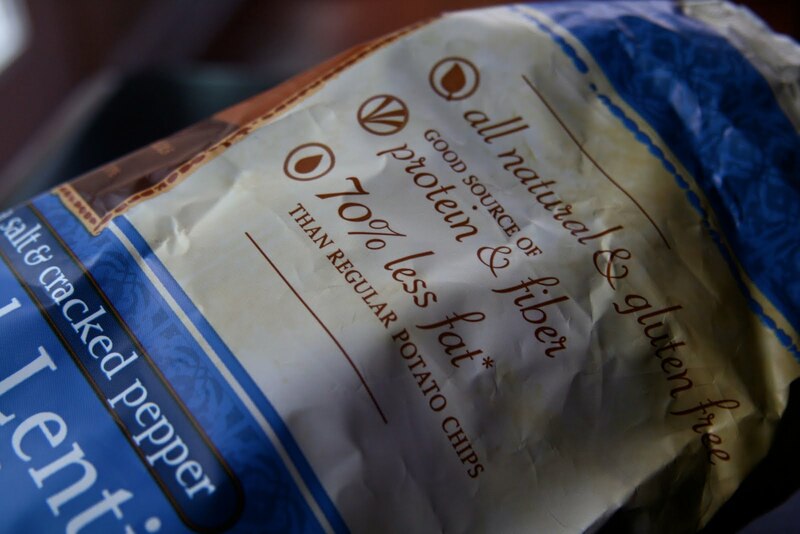 On top of that, Lentil Chips are all natural and gluten free! This bag is actually the 2nd bag she bought. She liked the 1st bag so much that she went back to get another one! It is crinkled because while she was driving over to see me...and share the bag with me...she opened it. So, you have been warned...these are dangerous! I seriously think the bag was calling my name while it was sitting on the table! They are so crispy, light and delicious! 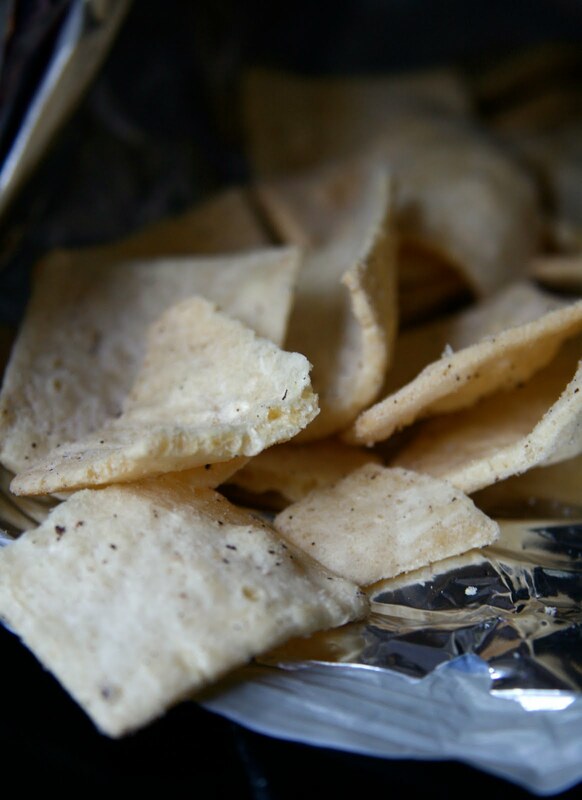 They seem, to me, to be a cross between a chip and a cracker. There is also a cucumber dill flavor that I really want to get my hands on! We almost devoured the whole bag that day! As an exchange, I gave her some of the Spicy Falafel Chips to try out. I was so glad there were a few Lentil Chips left over to enjoy with my salad yesterday! This was an amazing combination. Now, I need to get another bag...this is a priority! When I made this salad a started laughing out loud at the amount of hot sauce I poured on it. I think I may need some group therapy for the hot sauce and now the Lentil Chips! 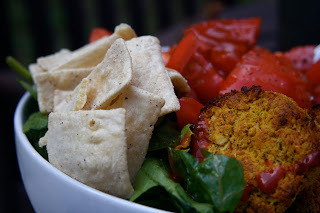 I feel like I am cheating on my Falafel Chips with Lentil Chips...can't a girl have both? Have you heard of these? I'm with you about finding a good chip- can't be too thin... so those lentil chips look promising! Oh I hate it when I eat the last of the veggie patties I keep on hand. I've tried the falafel chips, but haven't seen the lentil ones. I LOVE chips too so I need to seek these out (or maybe not). I was laughing so much while reading this that my co-workers asked me what was so funny! I will definitely be getting some more soon. 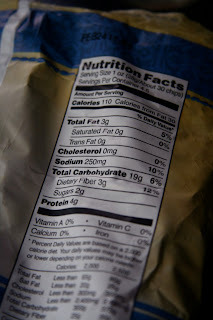 but I might need some accountability so I don't eat a whole bag in one night...again. I haven't seen either of those chips in my area...makes me sad! Falafel chips and now lentil chips!! I have GOT to find these soon!! They look great!! 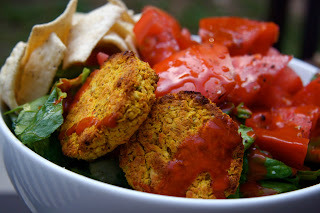 oooh lentil chips sound good - i love falafel chips! lentil and falafel chips sound sooo good. I want to find them now. The quinoa and chickpea patties look great too lady! Those look fabulous! I haven't tried them, but I definitely want to. Aww I hate when my favorite things run out! I would love to try both lentil and falafel chips. 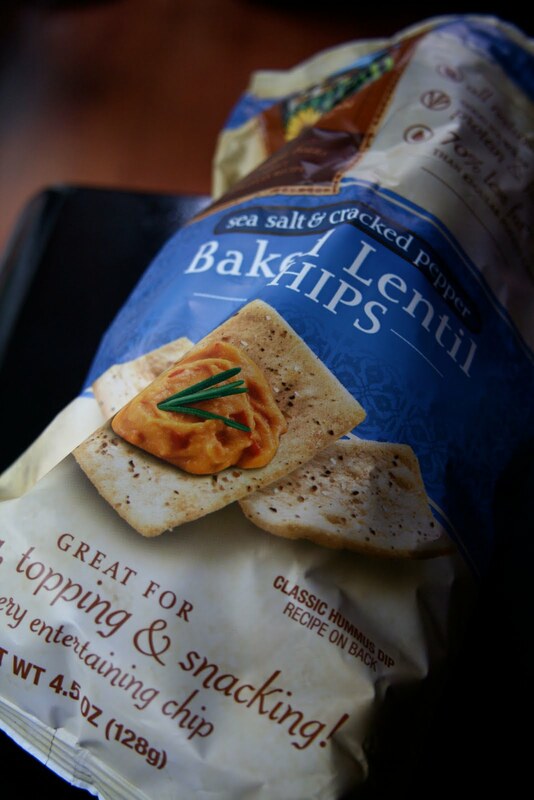 I doubt my Harris Teeter is up on their lentil chip game though!! I need to find these!! they sound like the kind of chip I like, no thin & greasy here either, hee hee! Never heard of lentil chips but it sounds good and healthy. the lentil chips and veggie patties look so good! I've had those amazing lentil chips! The Central Market in Dallas had a special tasting stand for them a few months ago. I kept going back for samples, bought a bag and we ate them in 2 days. I tried to find them the next time I went back and they were nowhere to be found. :( So tasty. I'm going to be on a mission to find them!